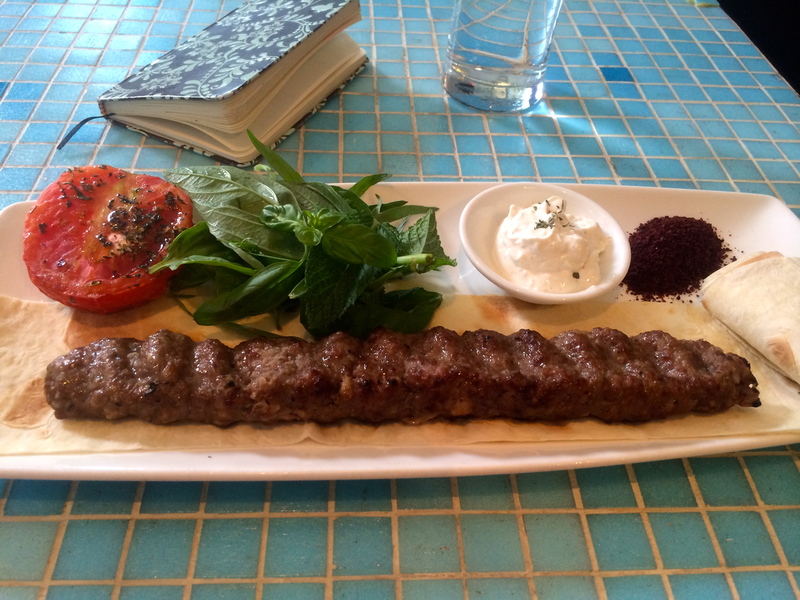 Banu Iranian Kabob and Vodka Bar: This was quite a treat. I can admit to being a virgin when it comes to Iranian cuisine. I mean you can say that I’ve had “Middle Eastern” cuisine but like what the owner of Banu says, “Iranian food is different.” I respect that each country has their own culturally specific cuisine reflective of their rich histories, traditions and people. So why would their food be exempted? Anyway, I asked her how she would describe ‘Iranian cuisine’? With such enthusiasm she explained to me that Iranian cuisine has subtle flavours. Yes, they use spices and herbs like turmeric, mint, saffron and so on, which may be considered strong flavours yet they use it in a way that lessens it’s intensity while still retain its distinctness. Think of a soft cool breeze gently brushing your cheeks as you walk down the street on a hot summer’s day. Often refreshing and quick while its presence recognizable and unforgettable. Naturally, I asked for her recommendations and with the exception of the dessert I went with the dishes she suggested. From the lunch menu, I had the Salad e Hendevaneh (watermelon salad with mint, molasses, olive oil and sheep’s milk cheese) to start, then the Kabob e Koobideh (ground sirloin accompanied with various fresh herbs like basil, mint and tarragon, roasted tomato, sumach, elephant garlic yogurt and lavish bread) as my main course and lastly, I had the Sholeh Zard (saffron rose water rice pudding with sprinkled ground cinnamon on top) for dessert. I was initially intrigued by the watermelon salad with the sheep’s milk cheese. I’ve had watermelon salad before inspired by Italian flavours, that bocconcini, balsamic vinegar, extra virgin olive oil and mint. However, I thought that the sheep’s milk cheese complimented the watermelon much better than the bocconcini. The taste of the cheese was very delicate while its texture was smooth and creamy. The textural contrast between the watermelon literally bursting with flavours with each chew and the creaminess in the cheese was interesting. The cheese collided with the watermelon without overpowering its flavour and so what was emphasized was the watermelon flavour instead of the cheese though you know that you taste some kind of cheese. I don’t know. At the end of my meal, I found myself reflecting on how clever the ingredients were used and showcased.